It’s the Holiday Season. The season of giving and receiving from your loved ones. These days many people are ordering gifts online to quickly check gifts off their long Christmas lists. This growing trend of ordering online has also become popular for thieves. 23 Million people had packages stolen in 2016. 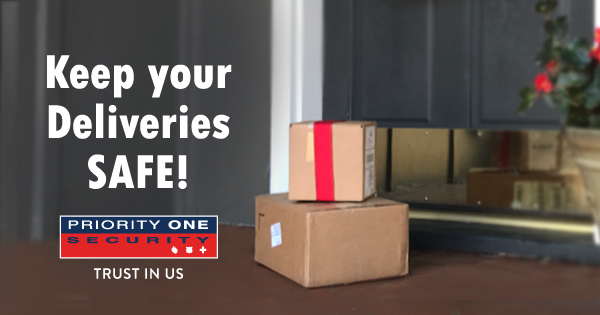 How can you protect your personal deliveries and gifts from? Web Camera Security – Watch over your home and deliveries from your phone, tablet or computer. The camera will catch the thieves in action. Everyone should have a home security system and security sign. The Holidays are the time to return that sign to your yard and for safety should stay visible year round. 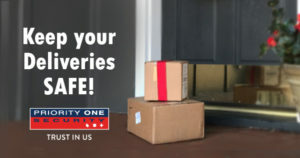 Have your packages delivered to your office if possible where the packages are brought inside. Track your packages. You will receive a tracking number after your package is shipped. Be aware of when your items will arrive so you can make arrangements to be there or have a neighbor on alert. Require a signature on all packages. This is not the most convenient for us during the busy season but it will keep your packages safe. Contact a Priority One Security Technician today to discuss the best options to keep your home, items, and loved ones safe during the Holidays. Call 888-407-SAFE (7233).